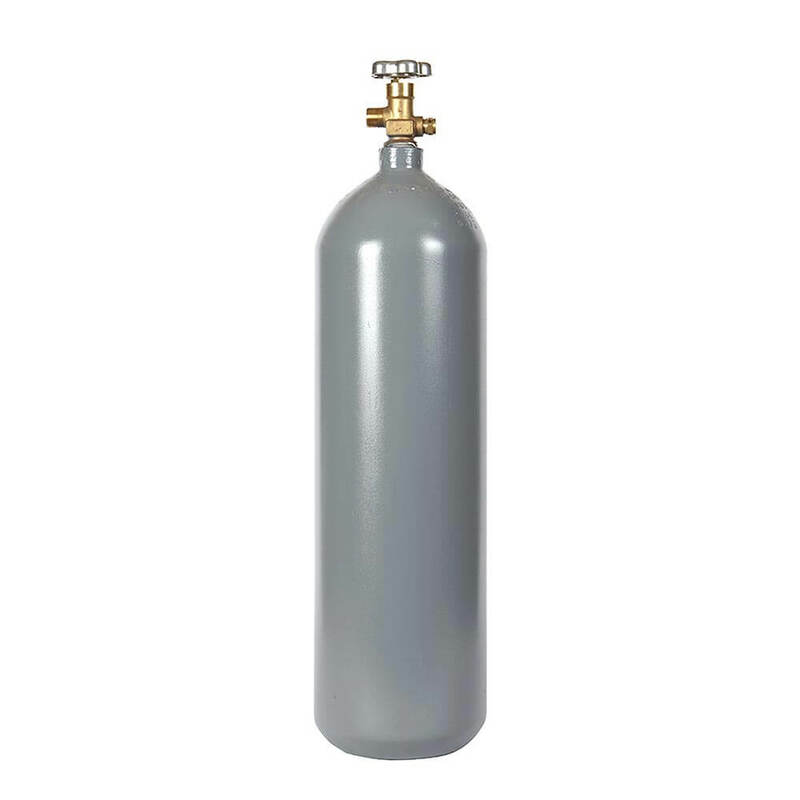 Our steel reconditioned 15 lb CO2 cylinders are always in demand for their versatility and value. Great tank capacity for multiple carbon dioxide uses while remaining compact and portable. Beverage, aquarium, indoor growing, light industrial – this 15 lb CO2 cylinder is ready for it all. Our reconditioned cylinders are professionally refurbished in-house to exacting standards. The reconditioning process includes a full exterior refinish in rust-stop paint and a new hydro test, all to guarantee that every cylinder looks and performs like new. These reconditioned steel cylinders were originally made by multiple different manufacturers, so actual tank dimensions may vary. Those listed here for the reconditioned 15 lb CO2 cylinder are average, but the actual product may vary in height by +/- several inches, and the diameter may vary as well. More new and reconditioned carbon dioxide cylinders in all sizes are available in our CO2 cylinder section.